Easy to install module, no core programs affected. 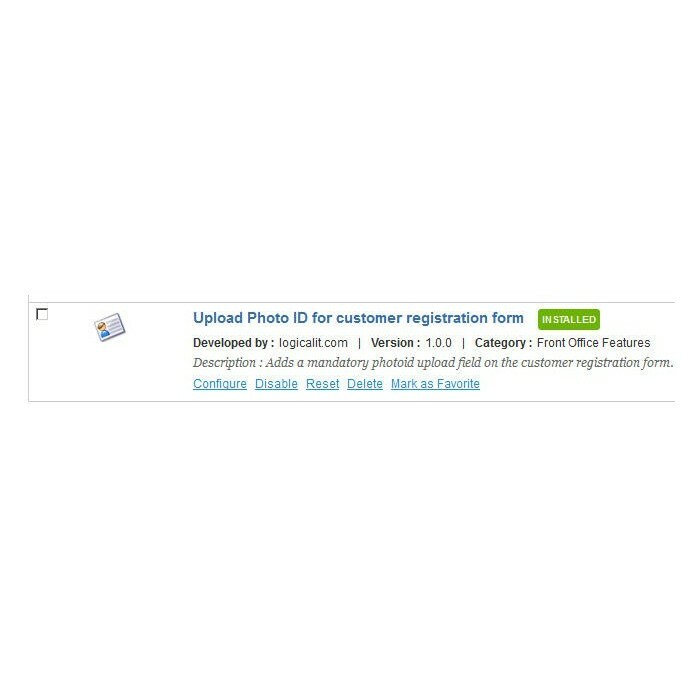 The module adds a new upload block to the customer registration form. NOTE: The module currently only works when order process type is set to 'Standard Five Steps". This module does not work when order process type is "one page checkout". 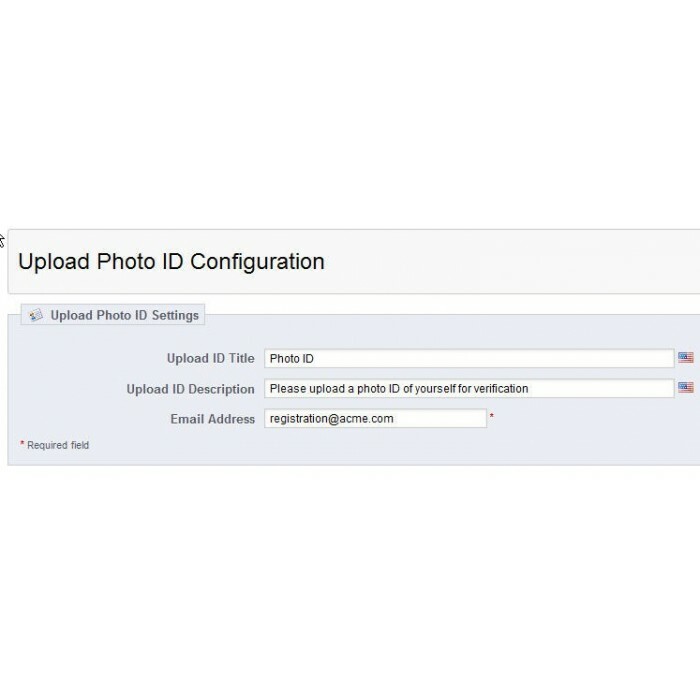 verify customer registration with photo id upload. upload field is mandatory. Registration will not be valid until user uploads a photo id. uploaded files are emailed to a specified email address. 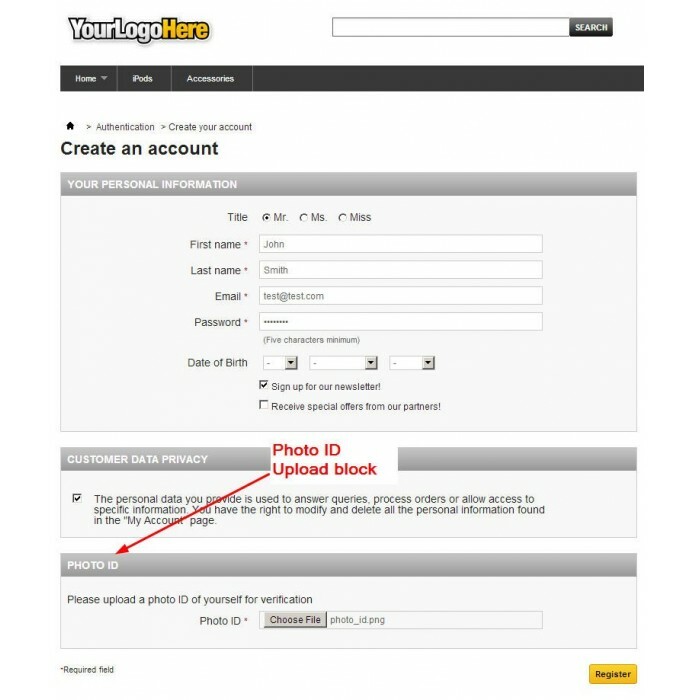 Photos are not stored on the server but emailed to a specified email address. Configure upload title and description fields. Supports multiple languages. Note: Uploaded files are not stored on the server but are emailed to a specified email address instead. Easy to install module. No core programs affected. The installation manual is included in the download file.